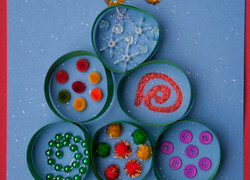 Wreath ornaments decorate your Christmas tree and act as a fun sensory craft for preschoolers. 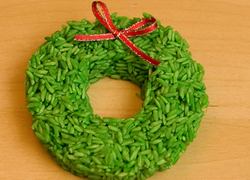 Make wreath ornaments with your child this holiday season. 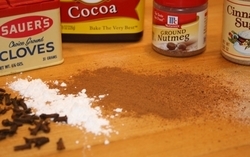 Bring a little science to your third grader's Christmas as you test out his sense of smell by exposing him to common Christmas scents found in your kitchen. 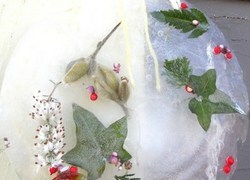 Help your child make an attractive frozen holiday ornament to hang outside during winter months. 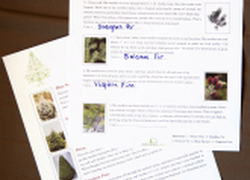 This season is a great time to explore the many shapes, sizes, and species of evergreen trees. 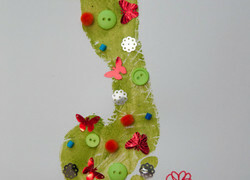 Download our "field guide" activity and learn more! 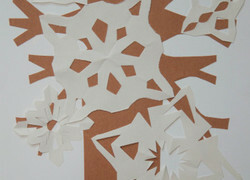 Your child will create her own falling snowflakes using white paper and glue them over a tree, so it appears as if they are falling from the sky. This snowman's not abominable, he's adorable! 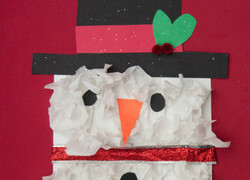 Your child can bring her very own snowman to life while practising how to create texture.